The next time you find yourself salivating over a particularly tasty dish, remember that you’re contributing to the incredible amount of saliva produced over your lifetime. The average adult will produce just over 25,000 quarts over the course of their life, which is enough to fill up two whole swimming pools. Even if you’re careful to brush after every meal, replace your toothbrush often and pick a soft-bristled brush, you might still only be cleaning only two-thirds of your teeth. That’s because one-third of the total surface area of your teeth is unreachable by a toothbrush. Thankfully, flossing can tackle that remaining third and help you achieve complete dental hygiene. 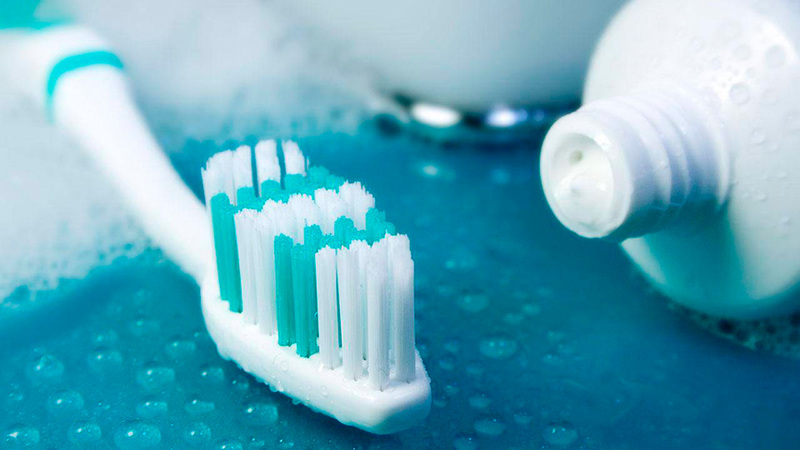 The general rule of thumb is to replace your toothbrush at least once every three months. After catching a cold or having the flu, however, you should change your toothbrush right away. The bacteria left behind from when you were ill could re-infect you after the fact and get you sick all over again. 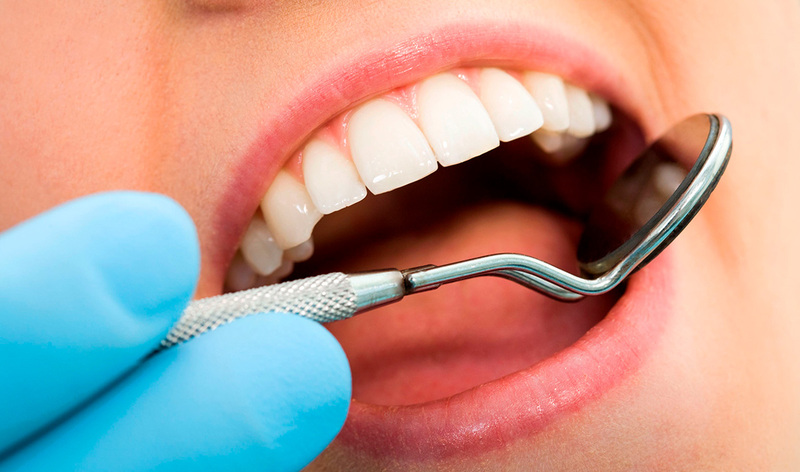 Shockingly, a whopping 80 percent of Americans have some kind of gum disease. Sore gums, gums that bleed when you brush or gums that are painful to floss are all signs of gum disease. Frequent brushing and flossing can help reduce your chance of gum disease in the future. No matter how much time you spend working out at the gym, your muscles still aren’t the strongest part of your body. You might be surprised to learn that it’s the enamel on your teeth that’s the toughest substance in the human body. Although most people think they know all about the basics of dental health, there are still plenty of surprising facts out there. From your impressive saliva production to the potential health hazard of a toothbrush, share these facts with your friends to enjoy some shocked faces. What Does a Great Daily Oral Health Routine Look Like? The backbone of a great dental health routine is brushing your teeth twice each day. You should always use a toothbrush that can easily reach the teeth in the back of your mouth, and it should be soft-bristled. Brush over all of the surfaces of your teeth, and be sure to use a toothpaste that contains fluoride. Flossing on a regular basisis one of the habits that often gets overlooked by adults. Once a day, use at least 1 foot, or 12 inches, of dental floss. Hold one end of the floss in each hand and use it carefully along the gumline between every single tooth in your mouth. In some cases, it can be hard to reach certain teeth with dental floss. However, that’s no excuse to skip an area. A dental pick of some kind should be used instead. Scraping your tongue is a key way to remove bacteria from your tongue. If you suffer from halitosis, or bad breath, this simple act can make a serious difference. Many toothbrushes have a tongue scraper attached to the back of the brush for your convenience or your can purchase a seperate tongue scraper like these from Healthy Top 10s. Mouthwash is an effective way of reducing plaque in your mouth, and it has been proven to reduce gum disease in many adults. Rinse with mouthwash once a day for up to 90 seconds, but be sure not to swallow the liquid. Believe it or not, the foods that you eat can also play a significant role in your dental hygiene. Either through diet or supplements, make sure that you are taking in key vitamins like calcium on a daily basis. Along with visiting a local dentist in your area regularly, maintaining a daily routine is key for great dental health. Brushing twice daily, flossing, using mouthwash, eating a varied diet and scraping your tongue should all be used in conjunction for better oral health. Healthy, well-maintained gums provide the foundation for strong adult teeth. Of course, taking care of your gums does more than just maintain stability for your teeth. Good dental care also helps prevent gum disease, which can cause oral health issues and can aggravate heart problems. No matter your age, you can take simple steps every day to improve the health of your gums and teeth. Start with these five essentials; then, ask your dentist what other steps you can take to protect your gums. Dentists recommend brushing your teeth at least twice a day after meals and flossing once a day. If you can, try brushing your teeth three times a day. Health officials in many countries suggest brushing your teeth before breakfast and about an hour after each meal. Avoid brushing your teeth immediately after you eat, especially if you’ve had acidic foods. You can floss at any time of the day; choose the same time every day to make flossing a habit. Many over-the-counter mouthwashes contain an enormous amount of alcohol. Avoid using these rinses as they can dry out the mouth and gums, leading to discomfort and encouraging the growth of bacteria. Opt for all-natural or alcohol-free mouthwashes instead and use them at least twice a day. 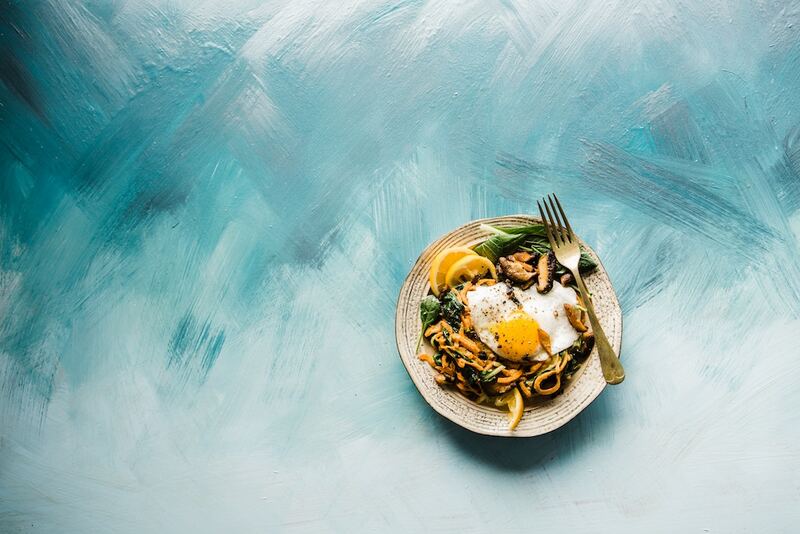 The American Dental Association and other medical groups have launched educational campaigns to explain that eating well can improve oral health. Choose plenty of fresh fruits, vegetables and whole grains. Avoid eating too many sweets as they can damage teeth and encourage the growth of bacteria. Your tongue is a great breeding ground for bacteria. To boost overall oral health, scrape your tongue twice every day with a tongue scraper. A specialized scraper will remove more bacteria than a regular toothbrush. Drinking plenty of water helps your mouth and gums stay hydrated, which in turn helps control bacteria. If you’re in an office environment all day, try to drink one glass of water every hour. If you’re active, you’ll need to drink extra water to protect your gums and stay hydrated. Remember that choosing a dentist in your area for regular checkups and cleanings is the cornerstone of good oral health. Your dentist can complete yearly oral health screenings and alert you to any early signs of gum disease. Starting a gum care regimen today is a great way to improve oral health and offset any early indicators of disease. Making the decision to become a dentist represents an important commitment to helping others. As a dentist, you play an important role, not only in helping your patients preserve their smiles, but also in maintaining their overall oral health. Maintaining good oral hygiene is important to one’s physical health, but it also has implications for mental health as well. A healthy smile can contribute to good self esteem, making cosmetic dentistry just as vital to a patient’s dental care. Essentially, oral health is an integral part of a person’s general well being. According to the American Dental Association (ADA), proper dental care is the most unmet health need in many communities and populations in America. By becoming a dentist, you’re joining a growing task force of professionals making a significant difference in people’s lives. Everyone becomes a dentist for their own reasons. For many, it is a passion for dentistry and a desire to help people that drives them. Patients are often incredibly loyal to their dentists, making it a personally rewarding field to work in, and the dental profession is highly respected. There are also a number of other benefits, including the flexibility that comes with owning your own practice. Dentists with their own practice are able to set their own hours, and while many do work full time, they are often able to have evenings and weekends off. Dentistry is a growing field, with the Bureau of Labor Statistics projecting that the job outlook for dentists will grow by 16% percent by 2022. In 2012, the average annual salary for dentists was $149,310, making it a highly lucrative field as well. Another enticing aspect of the profession is the numerous career options available. Aside from general dentistry, you can become a specialist or a cosmetic dentist. Dentists can also work in academia and research, contributing to the education of their peers and continued advancements in the profession. There are public health dentists who work directly with underserved communities to educate people about oral health, develop health policies, and prevent disease. The field of dentistry is so diverse that, regardless of your reason for pursuing a career, you can find a path that is right for you. The path to becoming a dentist is nuanced, with the specific requirements for practicing varying on a state-by-state basis. However, there are some general steps all dentists must take in order to become qualified, licensed professionals. Most dental professionals are general dentists, caring for the overall oral health of their patients. However, an approximate 20% are specialists, practicing one of the nine specialties recognized by the ADA. ● Dental public healthworkers promote dental health and disease prevention in underserved communities. ● Endodontists perform root-canal therapy and restore or remove damaged or infected teeth. ● Oral and maxillofacial pathologists practice oral pathology, diagnosing oral diseases, such as cancer, that might have serious implications for the maxillofacial (face, jaw, and neck) region. ● Oral and maxillofacial surgeons perform surgery on the mouth, jaw, head, and neck to treat and repair injuries or defects. ● Oral and maxillofacial radiologists are specialists who use radiologic imaging to identify and diagnose conditions in the oral and maxillofacial region. ● Orthodontistscorrect the misalignment of teeth and malformation of jaw structure by applying pressure to the area with braces, iBraces, and Invisalign. ● Pediatric dentists focus on dentistry for children and special-needs patients. ● Periodontists treat the gums and bone supporting the teeth. 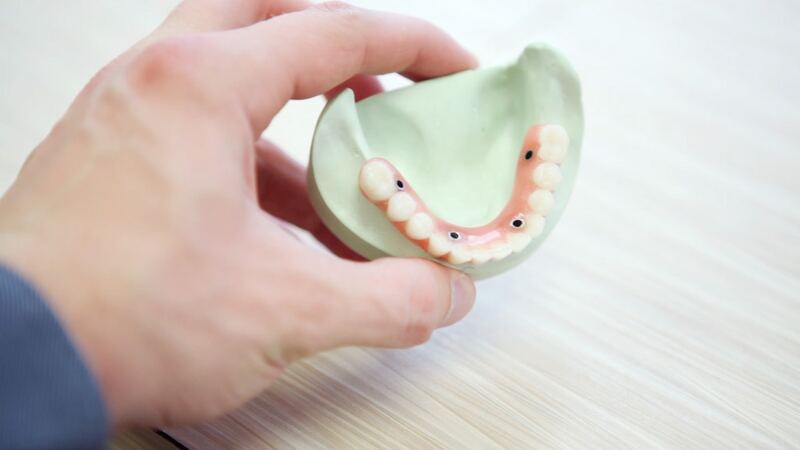 ● Prosthodontists replace missing teeth with permanent fixtures, such as crowns and bridges or dental implants, or with removable fixtures such as dentures. All dentists must receive their education from an accredited school of dentistry. While specific requirements vary by school, most dental students need at least a bachelor’s degree with a certain number of credits in biology, chemistry, and other related sciences. Most schools require the ADA’s Dental Admission Test as part of the application process. Students typically take classes in anatomy, periodontology, radiology, and anesthesiology, among other subjects. Dental school takes four years to complete, but pursuing a career in one of the nine specialties requires advanced education that may take an additional two or more years. A dental education includes practical training in a clinical setting under the supervision of a licensed dentist. Beyond this, general dentists usually do not require additional training. However, those pursuing a dental specialty must complete a one or two year residency program in that field. All states require dentists to obtain a license to practice, though specific requirements vary by state. In addition to a degree in dentistry, most states require dentists to pass a written and practical exam. Specialists must obtain licensure in their specialty. While the road to becoming a licensed, practicing dentist is clear, the process requires dedication, hard work, and above all, passion. Please keep in mind that you must be licensed in the state where you wish to practice, and while education, a written examination, and a practical examination are universal to all states, specific requirements do vary. The state’s Board of Dentistry is the necessary entity to contact for information regarding your dental license. The ADA maintains a list of each state’s dental board. Happy Thanksgiving – The Dr. Linhart Team Is Thankful For You! Thanksgiving is a great time to reflect on all the things you are thankful for. The entire Dr. Linhart team would like to express its great thanks to all of our wonderful patients. We do what we do because of you! We are extremely lucky to have such a fabulous patient base, and we always look forward to seeing each and every one of you. We hope you enjoy this holiday with lots of friends, family, and of course food. Flossing your teeth is very important if you want to have better oral health. You should be making this a regular habit, which you do several times a day. Doing so will have defined benefits which will make your efforts very well worth it! First of all, food which is trapped between your teeth will decay and leave your mouth smelling not as good as it could be. Flossing removes these elements and allows your breath to be as fresh as it can be. Flossing is also useful because it stimulates the gums and allows you to scrape off corrosive elements which might be present. Clearing these spaces leaves the gums more vital and healthy. Flossing is also useful for preventing tooth decay. By getting rid of harmful elements which are decaying in the mouth, you will be removing corrosive elements which can eat away at teeth. Flossing is also great for preventing heart disease. Studies have shown that a healthy mouth is directly linked to a healthier heart. Last of all, the act of flossing helps you to have a beautiful smile which is more clean and clear. Making your smile beautiful is the outward manifestation of all of your efforts. 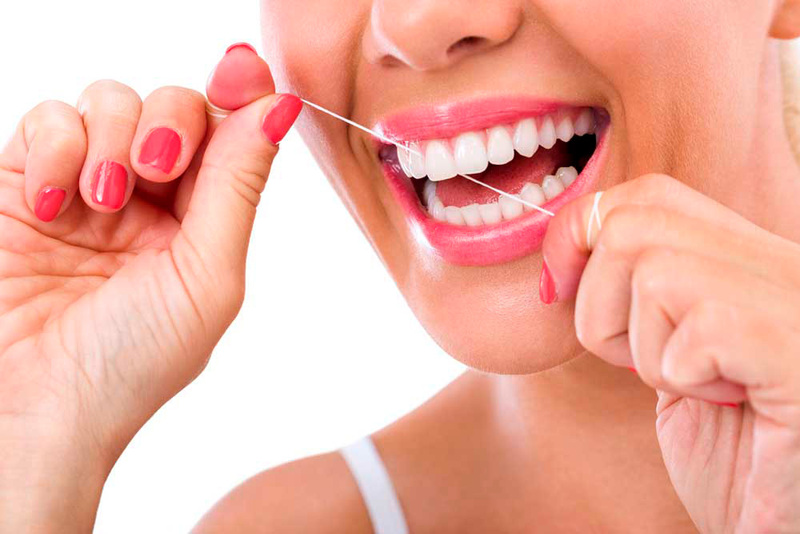 By making a positive habit out of flossing, you will have more control over your oral health. A beautiful healthy mouth can be yours with just a few minutes of effort every day!